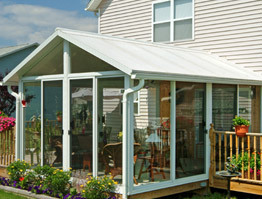 Ideal for experience DIYers, our sunroom kits make adding an affordable sunroom to your home easy. 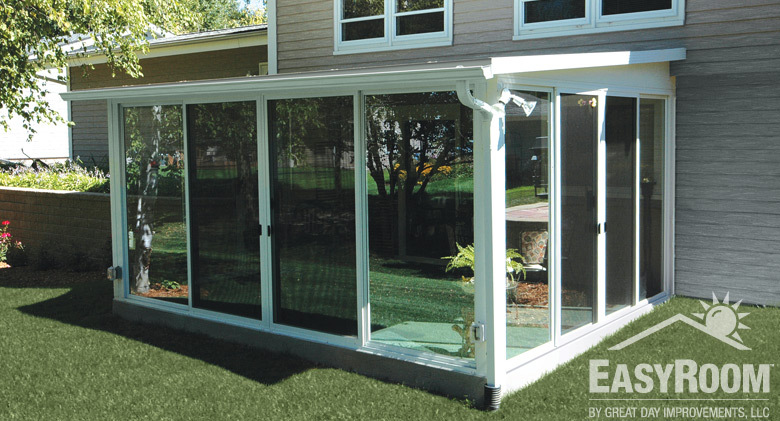 Designed to be simple to install, our EasyRoom™ kits from Patio Enclosures come with a detailed, step by step instruction manual as well as a five (5) year limited warranty. 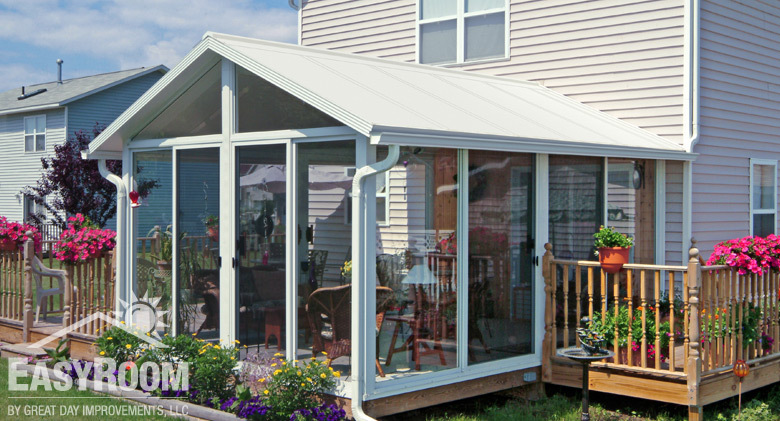 Build your own single sloped roof sunroom! Many options available. Build your own gable roof sunroom! Many options available.